Many people think a brand’s impact happens during a customer’s conversation with a business, but it’s actually the residual feeling people come away with that defines who you are as a brand. That’s why it’s important to talk with your team about how you want people to feel after they’ve had interactions with your customer-facing employees. If you want to leave customers with an impression of professionalism, you could direct them to an email address to continue a conversation formally. This would work perfectly if you need to bring other people into the conversation or officially acknowledge a complaint. If you want people to think of your brand as friendly and fun, you might answer a customer question with emojis, colloquialisms, GIFs, or some playful chit-chat. Ensure that everyone who handles your Instagram DMs (and your wider business) knows and understands the impression you want to leave. If you’ve already been on Instagram for a while, revisiting the basics can reset you for stronger success with DMs. One person covers weekdays and someone else covers the weekend. Split the week in half and have each person manage one piece. Assign days of the week to different people to manage all Instagram DMs. As your business, team, and DMs grow, you’ll need to implement a tighter workflow to manage your inbox. One tactic that can help is to use Instagram’s flag system. If you’re waiting on a response from a customer or need assistance from another team member before answering, use a flag. I know it’s popular to keep items marked as “unread,” but when you’re sharing an account or running a client’s account, it’s not uncommon for someone to sneak in to see what’s happening and accidentally forget to mark the message as unread again. A flag keeps it clean for everyone. 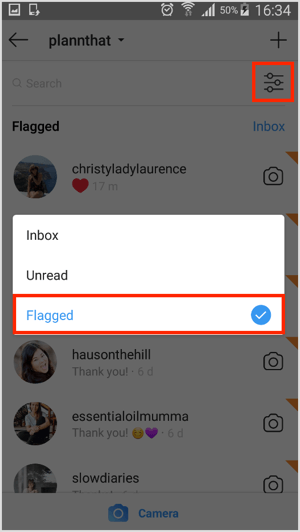 Here’s how to use a flag system for your Instagram DMs. To flag a conversation, open the DM conversation and tap on the flag icon. To find the conversations you’ve flagged, navigate to your Instagram inbox. Then tap the icon to the right of the search box and select Flagged from the pop-up menu. Flagged messages have an orange triangle in the top-right corner. There are many ways to manage the messages in your Instagram inbox. You and your team might want to try different techniques to see what works best for you. If something can’t be answered inside the inbox or you need more time to investigate, ask the user for an email address so you can assign a troubleshooting ticket on their behalf. Let them know you’ll update them as soon as you can. Users can see if you’ve read their message, so it’s important to acknowledge they’ve been heard and you need a little extra time to investigate. Remember, it’s the responsibility of the team to ensure these DMs are cleared from the inbox and resolved. Social media is increasingly becoming a world of instant gratification. Thankfully, most people still understand that it’s impossible for businesses to sit on Instagram all day to answer questions immediately. It’s crucial for your business to have an SLA and stick to it. I recommend not taking any longer than 6-10 hours to respond to a DM on Instagram (this is where having a team helps). Of course, how quickly you respond may depend on the type of request. If a user is ready to buy but needs to ask a quick question first, it’s best to respond right away to capitalize on impulse purchases. But if a user is having an issue that hasn’t been resolved, getting to it within a reasonable time period reduces your risk of bad reviews, or being called out publicly in forums or on social media. It also gives you the opportunity to turn the experience around and create a loyal fan. Unfortunately, faster can be better. I’m a strong believer that you choose how to run your day; your day doesn’t run you. 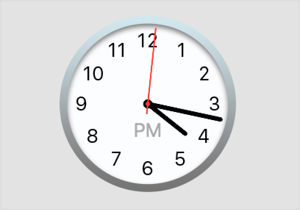 Assign times in the calendar to check DMs so you don’t get taken off task or forget. 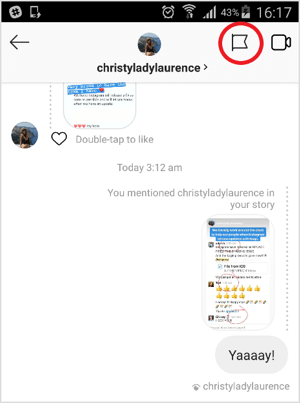 Once your team understands their responsibility in managing your Instagram DMs, you need to give them the tools to do their job as effectively and quickly as possible. Here are some things to include in your Instagram DM toolkit. Spell out common quirky sayings in your brand voice. You might use “Yikes!” when something hasn’t gone according to plan. 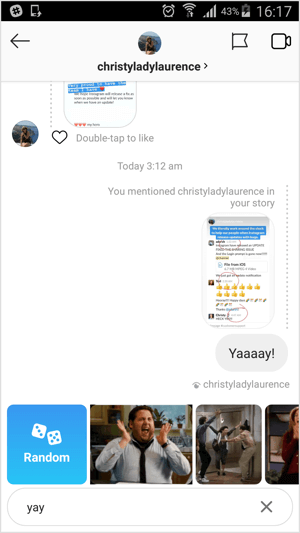 Rather than selecting the GIFs you can use inside your Instagram inbox, clarify what types of GIFs you don’t want to use. If you want to your messages to take on the tone of a conversation with a friend, you might use expressive facial reactions and sparkles, but not GIFs of people falling over and hurting themselves. Choose 10 or so emojis that fit your brand and use them consistently throughout your posts, stories, captions, and DMs. Take into account the feeling the emojis create, the diversity of the people emojis you select, and the frequency of use. These factors can all strengthen your brand message. By being clear about how you want your brand to appear on the outside, your team, brand, and Instagram page have the best chance to be consistently charming. 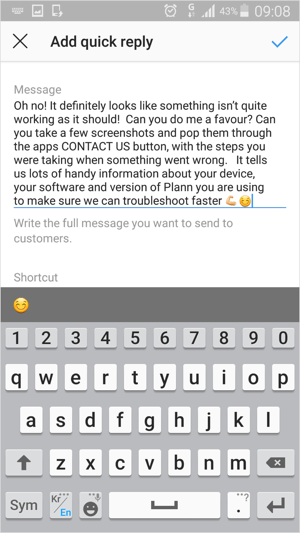 The Instagram Quick Replies feature allows you to set up canned responses for frequently asked questions through Instagram DMs. The key is to make these messages sound human, not like you just copied and pasted the message. Users want to be treated in a personal way, and they typically can smell a copy/paste response a mile away. Adding some customization (like a first name) to your quick replies will help. 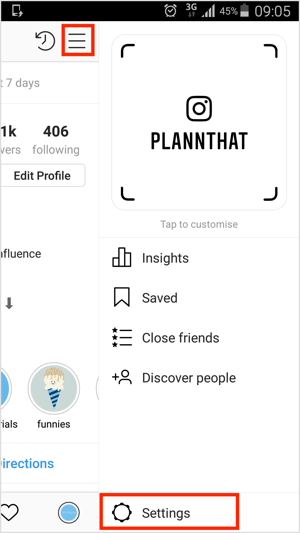 To use this feature, open your Instagram business profile and tap the icon in the top-right corner (with the three lines on it). Then tap Settings at the bottom of the pop-out menu. 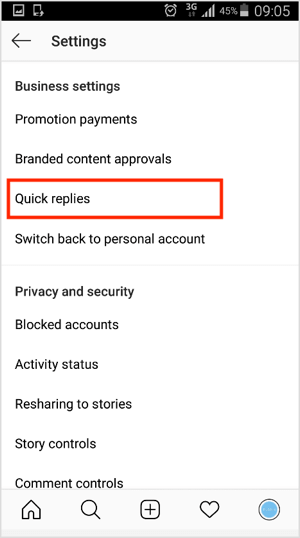 Scroll down to Business Settings and tap on Quick Replies. 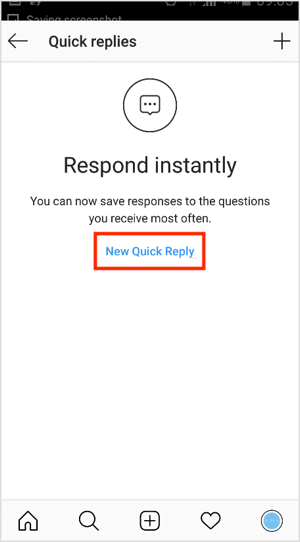 Then tap on New Quick Reply. Now type in your message and enter a shortcut name/keyword you want to use for the reply. When you’re finished, tap Done and your response will be added to your quick replies list with the shortcut name. Here are some additional tips for taking care of your customers and brand advocates on Instagram. Do you get regular DMs from followers who truly love your brand and just want to be involved in what you’re doing? If they’re saying this directly to you, they’re likely talking about you in the real world too. Send sneak peeks of features or ideas you’re working on and ask what they think. Create custom thank-you discount codes and share them with a select few fans each week. Send select fans a handwritten card with a few goodies to show how valuable and appreciated they are. Everyone wants to feel special and included. If you treat your brand ambassadors and new community members to exclusive content, you’ll have fans for life. Is it someone’s birthday? Send them a video DM of the team singing “Happy Birthday.”Make a few generic versions and save them to your camera roll to share when required. Pre-record your FAQs as video messages and post them as needed. If you need to type a custom message, try doing a video response. It saves some typing and it’s a great way to connect to show some of the faces behind your business. Involve the people you’re talking to in your behind-the-scenes office karaoke shenanigans. 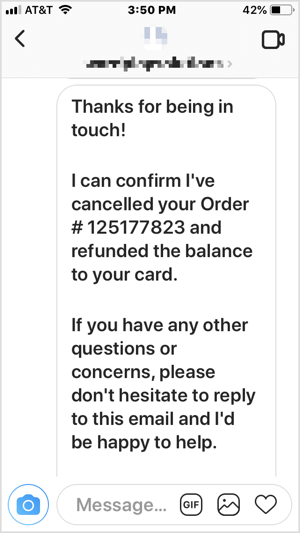 Did someone place an order right after having a DM discussion? Send them a video of how you’ve prepared their order for shipment. Most Instagram accounts aren’t effectively using video, so video responses will help you stand out. After all, everyone wants to feel special! Managing your business’s Instagram inbox can be challenging. If you’re not on top of things, you can leave potential customers feeling ignored, unheard, and underwhelmed with the experience of interacting with your brand. 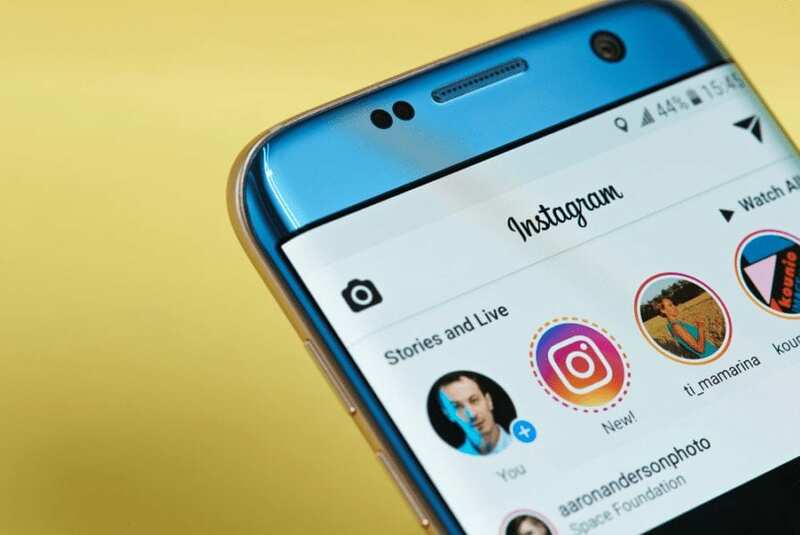 Whether you’re managing your Instagram DMs yourself, with a team, or outsourcing the task, you need a solid plan to ensure you come across as a world-class business on Instagram. The more you post on Instagram, the more DMs you’ll receive. Rather than ignoring them, feeling anxious, or overlooking them, following these steps will help you set up a workflow to manage them while creating raving fans (and more active customers) in the process. What do you think? What’s your Instagram DM management style? Do you have any techniques to add to this list? Please share your thoughts in the comments below.